I don’t know about you but sometimes it takes a little time and effort to persuade me to try something new. According to one of those crazy Facebook quizzes my personality is like that of a German Shepherd. Evidentially, (at least according to all the king’s horses and men who in their spare time happen to make up quizzes for social networking sites) a German Shepherd is easily disturbed by anything new that enters his environment. They hate change. In fact, they make wonderful guard dogs because they instinctively can sense when even the smallest details in their environment are out of place. Simple things like a new car in the driveway, a new shrub or tree and even a newspaper wrapped in an unusual colored weather wrapper will provoke severe aggression from them. (And if we happen to be that “out of place object” in their environment then they can invoke a severe pee-in-our-pants reaction from us.) Characterwise, a German Shepherd is very comfortable eating the same food out of the same bowl everyday without change. So yeah, I’m a lot like that I guess…but then again, I’m also male so is that really a surprise? But here lately I’m breaking that old German Shepherd mold. They say you can’t teach an old dog new tricks. Well, they’re wrong! Lately, life has been giving me lots of opportunities to learn new tricks. And I’ll tell you honestly that some of them are a lot more fun than others. Take bowling for instance. Growing up I never really had the opportunity to learn how. 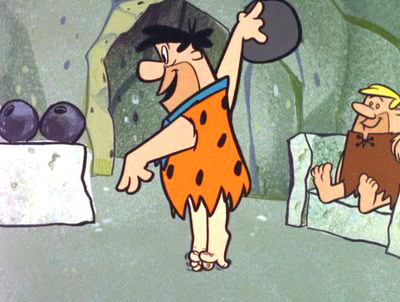 So later, as a teenager, when I did meet people who bowled I was too embarrassed to get out there and play with them. 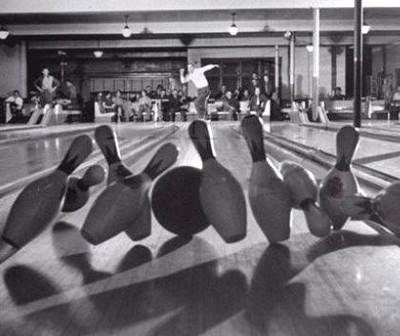 After all, I knew that while they were busy bowling strikes, every ball that I rolled would simply probe the gutter for blockages. Then (as if that were not enough) I would inevitably be subjected to endless advice and pointers on how to hold the ball, how to approach and how to release. But the absolute worst part would happen IF I happened to leave the ball on the lane long enough for one or two of the pins to feel sorry enough for me to fall over. Everyone would begin jumping up and down and cheering as if I had just knocked all the pins straight through the back wall and onto the street, all while moon-walking blindfolded and as a side bonus had brokered world peace. The very thought of all of this was more than my current level of humility could take. So needless to say, I avoided bowling allies like the plague. For obvious reasons, I made it into my mid-30’s without ever having picked up a bowling ball—well, until a couple of weeks ago. My Alma Mater’s School of Business Alumni Board, of which I am a member, decided to have a bowling night activity. And for some reason (I’m told since I was an officer or something) my presence was expected. So reluctantly I agreed. Of course I still had to persuade my ego. But luckily, with the help of my lovely wife (who knows how to use both the carrot and the stick approach on my ego) it all worked out and I found myself on the lanes on the right date and at the appropriate time. And guess what? I had a BALL!!! And do you want to know why? I decided to! It’s that simple. I guess this Character-Quest thing is rubbing off on me. Because I decided that night not to allow my preconceived EXPECTATIONS of what might happen to ruin the experience for me. And it worked! Now this I have to share. On my very first try I decided to use some positive visualization. Instead of picturing myself rolling the ball into the gutter and everyone laughing I decided to do some roll playing. I picked-up the ball—looked at the pins—and asked myself the following question: IF I had been bowling for years…IF I were an EXPERT…IF I were the Tiger Woods of bowling then how would I step and how would I release? So right there, I mentally transformed my self image into a professional bowler. The next thing I knew I walked forward in three careful steps (watching the pins the whole time) and released the ball. To my (and everyone else’s) amazement the ball not only stayed on the lane but knocked three pins down! Over the course of the night I got two strikes and two spares using the same approach. Not bad for someone who had never bowled. My average for the night was 117. Not a pro for sure…but not all gutters either. Now, I can’t wait to go bowling again. I believe that somehow I’ve missed out on one of my callings or something. Yeah, it was THAT much fun! And I’ve been missing out for years by my own ignorant choice! Today, I’m writing about my experience bowling because I wanted to make point to Character-Quest readers. A very important part of developing our personal character is to purposely walk away from our comfort zone and try new things. The only way to overcome our fears and insecurities is to face them and challenge them. 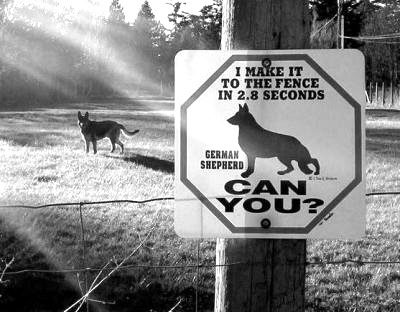 This can be a big step for German Shepherd-type folks like me—but critical for their development. Positive thinking can go a long way. No, happy thoughts won’t let us fly anymore than picturing myself as a professional bowler gave me a perfect score—but it sure helps the process a LOT more than negative, self-destructive thinking. And who knows, maybe a few of those happy thoughts might just help you overcome the embarrassment of the learning curve and even help you to have a good time. This entry was posted in Uncategorized and tagged Business, change, character, leadership, Management, Opinion, personal, teachers, teaching. Bookmark the permalink.